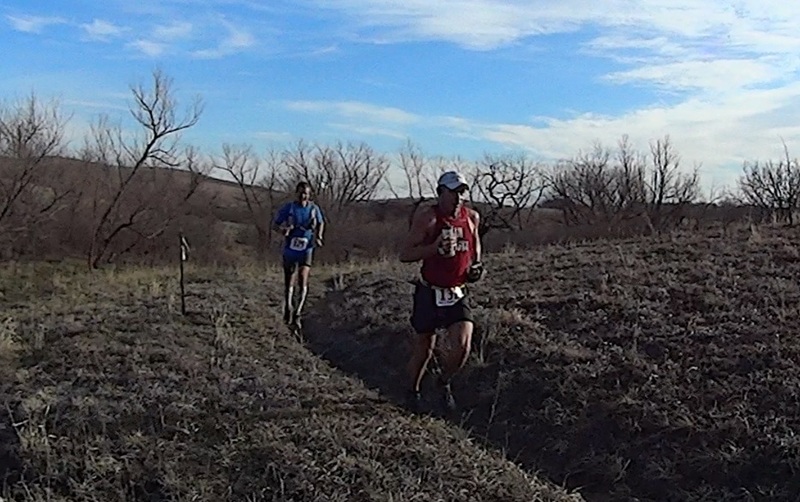 Recently, TAUR writers Jerry Armstrong and “Sherpa” John Lacroix, took on the 2013 Rockin’ K 50 Miler in Kanapolis, KS. This is their report from this year’s race. 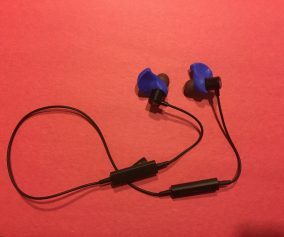 After Jerry’s review of the Rockin’ K Ultra last year, I knew it was an event that I had to see for myself. We made the six-hour drive from Colorado’s Front Range to somewhere in the middle of Kansas. I’d never been to Kansas before, and the drive halfway across the state, lived up to all the hype I’ve heard about it over the years. Adjectives to describe it are words like: monotony, boring, flat, lost, nowhere, mind numbing. However, upon entering the Kanapolis State Park outside of Salina, any runner would be incredibly pleased with what they find there. 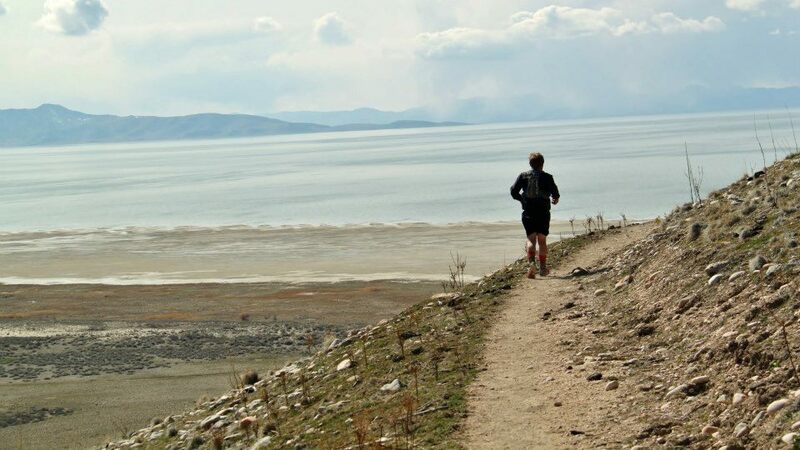 If your kind of trail run includes tasty non-technical single-track trails, then this park is for you. I felt as if I was floating across the land on trails of fertile soil and soft sands. Those who think Kansas is flat will be very surprised to run on this rolling terrain of American Heartland. Expansive views across the plain, bobbing and weaving through cottonwood groves, dashing through frigid streams, and scrambling up and around rocky cliff sides adorned with petroglyphs from generations well before white man. I loved it. But the real treat of this event, is what the Kansas Ultra Society puts together. 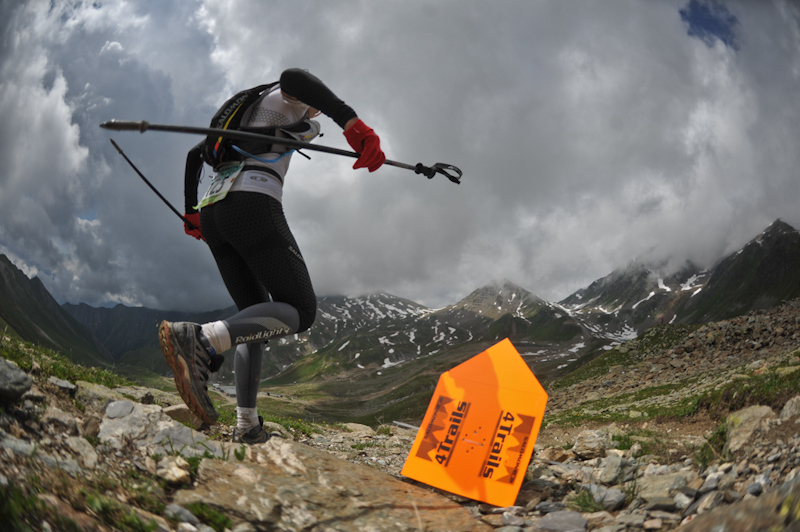 During the pre-race meal and meeting, one takes a long journey back in ultra marathon time. It’s like you’re crashing someone’s family reunion. 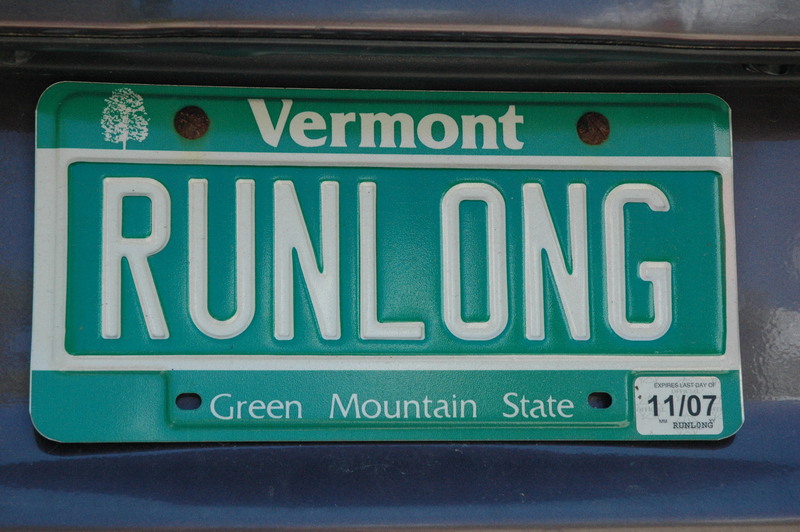 Runners are not separated into multiple groups or cliques, even us outsiders feel like a member of the family. Jokes, laughter, conversation abound through the small shelter at the campground; it’s very hard not to feel welcomed, and happy, at this event. The race meeting is short, sweet and to the point; like any pre-race meeting should be. The race shirts are comfy and are not littered with the names of countless sponsors. From start to finish, this is one of the most quality events I have been to in years. 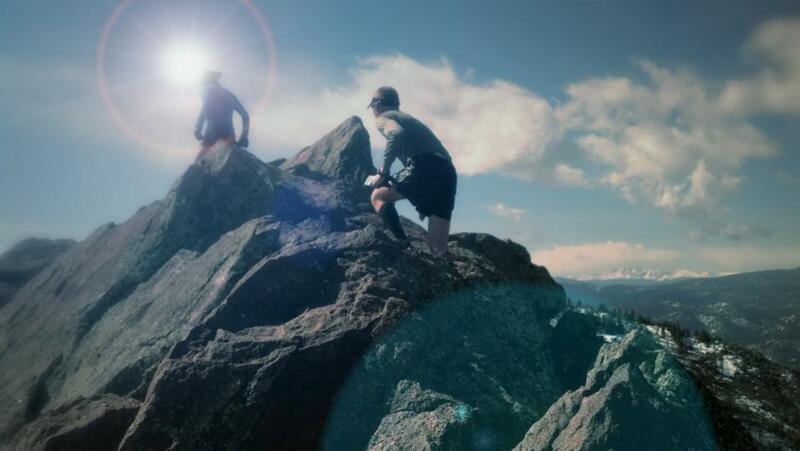 The pre-race meal, the post race meal, shwag, bang for your buck… this event is what Ultra-Running has been about long before it became culturally popular. My only gripe would be the course marking. More is better out there where ribbons of various colors adorn the landscape. 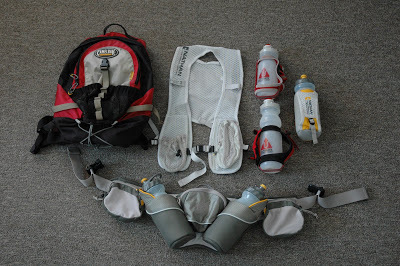 If the race organizers can get this squared away, they’ll have the only ultra I would ever rate a 10 out of 10. Speaking of race organizers; this years event was a transition year. The long time RD’s passed the torch onto a new crew. Usually in transition years, the hiccups are numerous. I don’t think I counted even one. Finally… a reason to go to Kansas. The Rockin' K course offers mainly single track with rolling hills. There are many water crossings along the way. This was the 2nd year I made the trip to Kansas for Rockin’ K. It’s everything John described above. Last year, I lost track of the trail last year and followed the wrong ribbons. 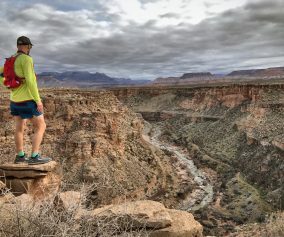 This year, I wanted to make 100% sure I stayed on trail and avoided any ‘bonus miles’. New RDs Stuart and Elden did a great job of carrying on long-time RD Phil Sheridan’s traditions. I enjoyed the unique venue of Kanapolis State Park once again. 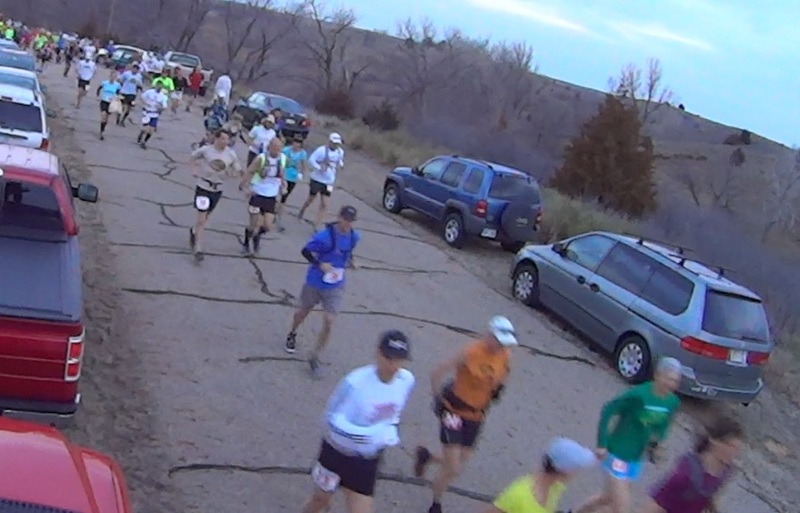 Some of the interesting obstacles in this race are the water crossings, cattle gates, and Kansas wind. 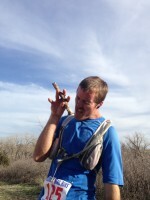 Like 2012, the constant 20 mph wind was not cold, but warm and humid. 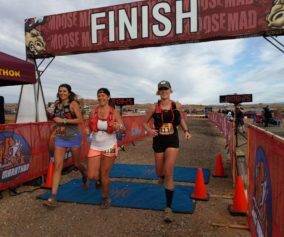 The footing changes regularly, from sand and dirt, to mud and hard-prairie land. Every once in a while, my race will go to hell. 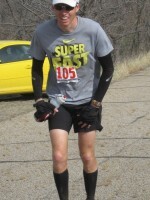 This happened at mile 40 of Rockin’ K this year. The incessant wind backed off to allow for obnoxious warm temperatures. 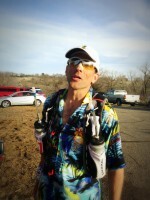 The heat got to me and I felt myself fighting dehydration in the final miles of the race. (You know, it was the whole internal conversation between good and evil and all that.) As my pace slowed, I tried to focus on the immediate trail ahead. I tried to find humor in things unfunny. I tried not to look pathetic beneath the vultures who circled my head above. 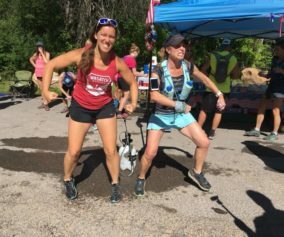 Several miles from the finish, I plopped to the ground beneath the unmanned aid station and opened the valve on the giant blue plastic water container. I let the cold water pour over my head. Under my cold shower, I convinced myself I was in Hawaii enjoying frozen margaritas at a private resort. Two beautiful Polynesian ladies offered me a foot massage. They whispered I should try and continue toward my destination. I motioned with my hand and someone fed me grapes. They danced again. I asked for more pineapple. We sang and enjoyed great laughter about things I do not remember. They color faded and I burped peanut butter GU. 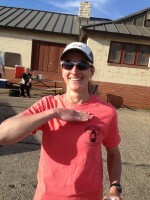 At the finish, I celebrated my 30th ultra finish. There were four cowbells but I asked for more. I settled on a cold Sprite. 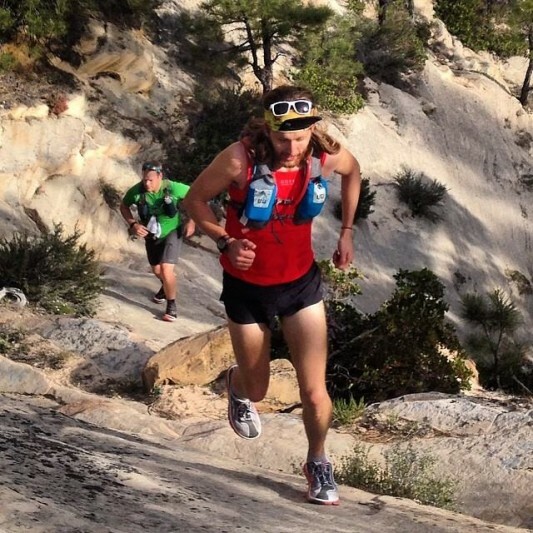 After a brief time to gather my senses, I spoke with several of my fellow ultra athletes. I asked them to share a bit about their race for our race report. As you can see, we are all poets. Lastly, we’d like to invite you to come run in Kansas sometime. Skip all the great tourist attractions along the way and head straight to Kanapolis State Park where our friends at Kansas Ultrarunning Society will hand you a purple tech shirt and a hot plate of spaghetti. Friends, this is Kansas…bring your kite…and your running shoes.